Fixed table. Top in clear extra light tempered glass (12mm). Various options available for wood bases and steel frame finishes. Free table gives the home a modern feel with its chrome and wooden finish. 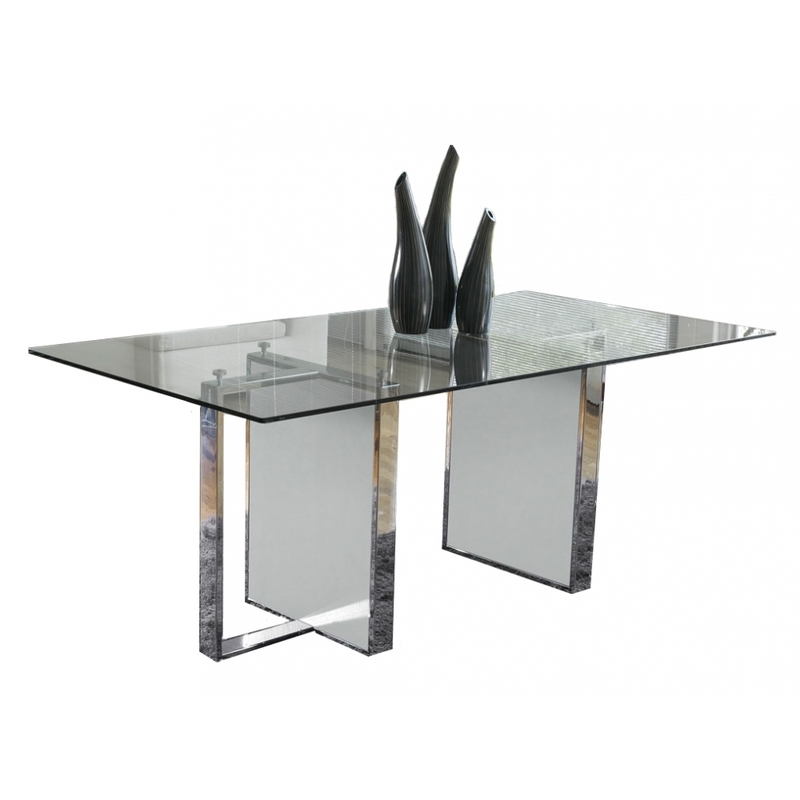 A key feature of the table is that the two bases can be placed as you like.